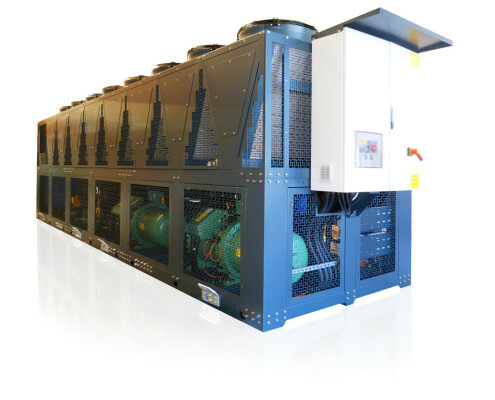 The G-Range includes all chillers with screw compressors, which are characterized by a simple structure: they are composed of few moving parts which enable a continuous and fluid motion. This leads to the decrease of the mechanical strains, reducing this way the possibility of failure and wear. 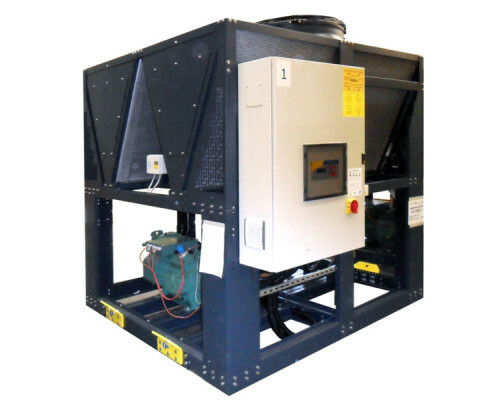 The simplicity of the engineering ensures a sensible reduction of the vibrations, deriving from the mechanical motions, and of the related noise, with many benefits in terms of comfort and installation. 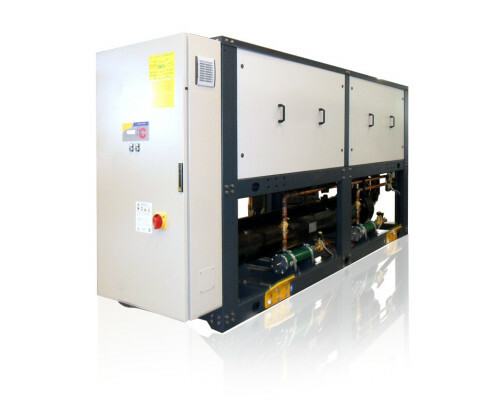 Thanks to the simple structure of the installed compressors, the G-Range units are characterized by long-lasting life and, therefore, by great reliability, as well as by a significant cut in maintenance costs. Within the G-Range, Geoclima has developed two lines of products, which are distinguished by the type of refrigerant used: the Energymiser line and the Greenmiser line. The Energymiser line is characterized by the use of the R134a, the most widely used refrigerant for more than fifteen years, after the prohibition of R22. The proven international experience ensures a deep knowledge of the product qualities, as well as of its wide range of use (indeed, the R134a is used in both industrial and civil applications): this ensures a high degree of reliability and efficiency. After a comparison with other refrigerants, the R134a turned out to be the best one considering efficiency and financial commitment, as well as installation and maintenance. On the other hand, the Greenmiser line is characterized by the use of refrigerants with a very low GWP (Global Warming Potential): HFO-1234ze with GWP<1 and R290 with GWP=3. Although this kind of systems has experienced relatively recent applications, the Geoclima R&D department has already tested different uses for these refrigerants, with the development of some units for this line of chillers. The main advantages in the use of these refrigerants concern not only the low environmental impact, but also the wide range of possible applications. Especially R290, besides being completely natural, turns out to be particularly suitable for both positive and negative temperature applications. With the Greenmiser line, then, Geoclima is able to provide innovative solutions, aiming at efficiency and eco-sustainability as equally important purposes. This range is available with R134a, the new low GWP HFO-1234ze or R290.